Mexico is hot right now. And we’re not talking about the weather, or indeed, the catwalk. When it comes to Mexican culture, lately, we’re all about the Kahlo. 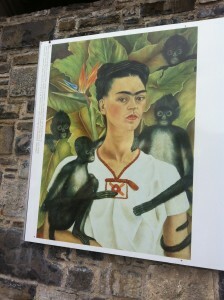 First came the Orange-prize winning novel, The Lacuna, now a travelling exhibition, Frida Kahlo and Diego Rivera: Masterpieces from the Gelman Collection, is taking over the UK’s Pallant House Gallery in Chichester, West Sussex. The collection comes courtesy of Jacques and Natasha Gelman, close friends of Frida and her husband Diego. Having already visited Istanbul and Dublin, this is the first time that the Gelman Collection has been shown in the UK. It may be over 50 years since the tempestuous pair bickered in the cobbled streets of Mexico City, but there’s no doubting that the lives and works of Diego Rivera and Frida Kahlo continue to fascinate international audiences. Kahlo’s work is characterised by its pain and passion, as well as its beautiful, vibrant colours. Her paintings are equally as representative of Mexico’s indigenous peoples and traditions as they are of the complex female psyche. Rivera’s paintings, on the other hand, are much softer and cleaner, both in terms of subject and style. Traditional Mexican and Amerindian themes pervade the collection, which flits between folk art and surrealism. Frida had not always dreamt of becoming an artist. Up until the tram accident, which caused severe damage to her spine, collarbone, ribs, pelvis, shoulder and foot, she had been determined to study medicine. Instead, she would spend a harrowing and helpless year in bed as a patient. It was during this time that she took refuge in her painting to escape an often depressing existence. 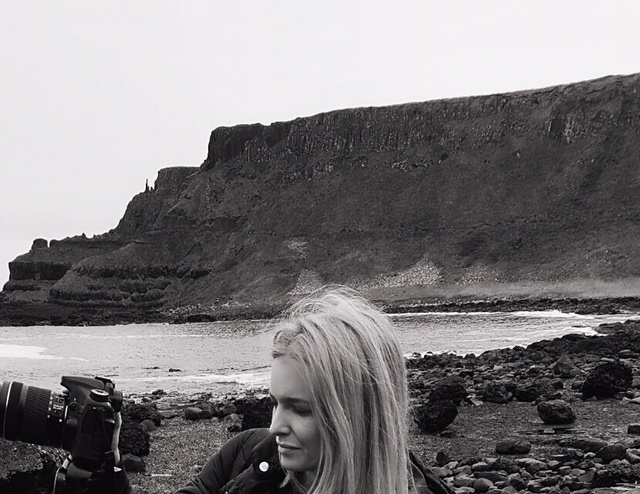 Things began to look up however. At the age of 22, she married her idol, Mexican muralist, Diego Rivera who, at the time was 20 years older. Their marriage was punctuated by drama and heartbreak, from affairs on both sides, to divorce, re-marriage and Frida’s inability to bear children. The streetcar may have scarred her physically, but the pain caused by Diego cut much deeper. Today, visitors to Mexico City are invited to take a peek into Kahlo and Rivera’s old living quarters. 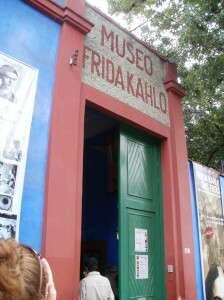 Kahlo’s family home, known as Casa Azul or “Blue House” is where Frida spent her childhood and the last years of her life. The home is now a museum. Visitors are free to wander through the rooms, many of which have been left in the state they were at the time of Frida’s death, decorated in her vibrant, flamboyant style. Memorable features of the house include the bright and eccentrically decorated kitchen as well as the azure-walled garden. The Museo Casa Estudio Diego Rivera y Frida Kahlo was designed by Mexican architect and painter Juan O’ Gorman in 1931 and originally consisted of two separate house joined together by a walkway. Frida and Diego lived here between 1934 and 1940, with Rivera returning here to live when Frida died in 1954. These day’s the house is considered to be one of the major architectural highlights of the area, containing a selection of Rivera’s art as well as some personal effects belonging to the couple.